So, here is my video for the new releases and a card making process. These are the newly released products introduced in the video. First is the Sweet Tape, it contains 500pcs of double sided tape in a box container that already cut into pieces of 0.5 inch, just pull out for using. Then move to the paper lace with silver and black color, they are self-adhesive border paper lace. 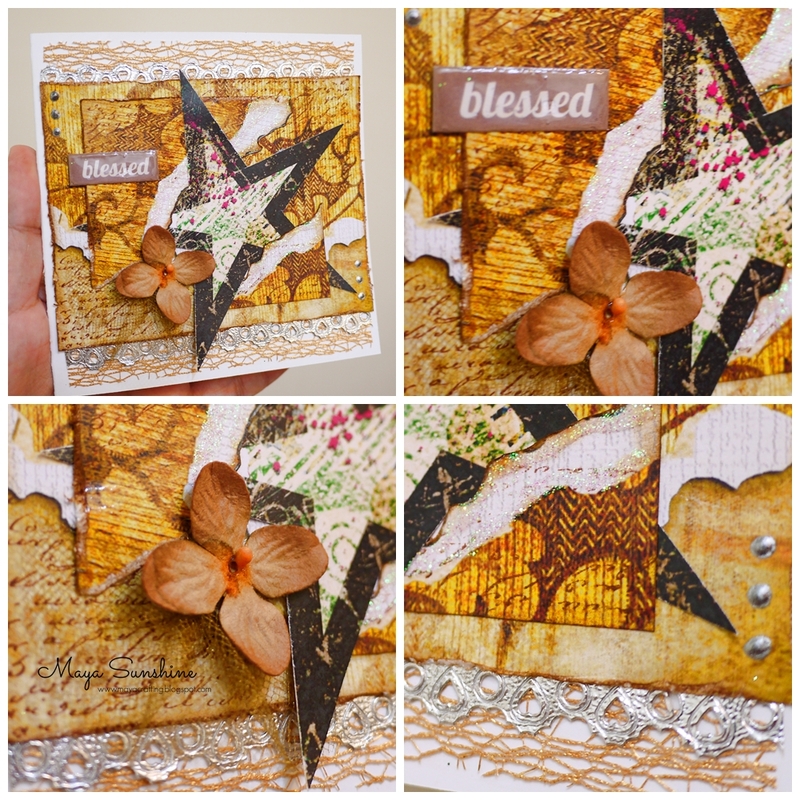 I also made this card using the self-adhesive border lace and sweet tape. They are easy to apply in any paper crafts. By the way, I really love the shining effect from the silver border lace. You may click HERE for my picture tutorial of this card "Blessed Star".